Annoying pop-up ads on Google Chrome, Mozilla Firefox, Opera, Internet Explorer or Microsoft Edge are a sign that your computer is infected with adware (also known as ad-supported software), because most probably that these ads are not coming from web sites you visit. You need to distinguish the difference between a legal advertisements that was added by owners of web-sites and unwanted ads that fills the browser screen after you installed some adware. In the second case, the volume of ads at times more, it prevents normal view of the webpages, it is difficult to close, much of the pop-up ads is advertising of dating sites, surveys, browser extensions, online casino, chance to get an amazing reward, fake tech support and so on. 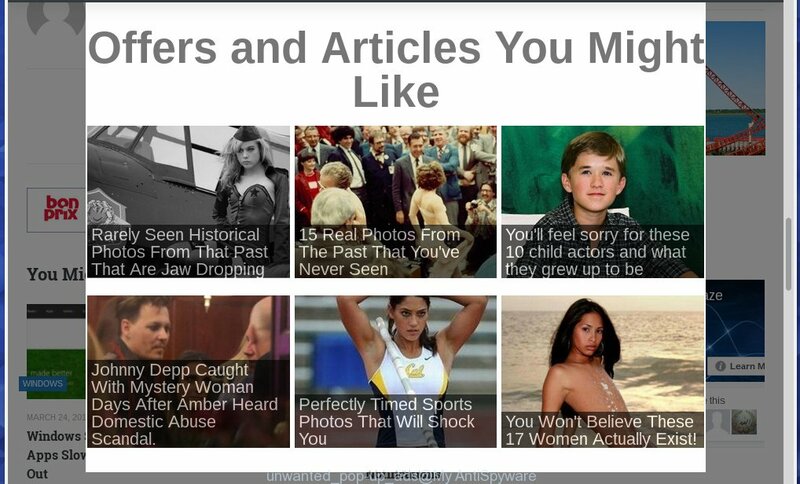 All of these ads united by one common thing – looks very suspicious. And more importantly, this annoying advertising appears on the pages of all sites, even those where you have previously advertisements never seen. Most often, the reason for the appearance of pop-up ads is a browser extension (so-called add-on), adware or potentially unwanted program (PUP). When it gets on your computer, it does not infect and delete your files, it configures itself to start automatically when the computer or internet browser starts. Once started, it can display annoying ads and even change yours personal settings, such as home page, new tab page and browser search engine. So, the creators of adware force you to watch a lot of ads or redirect your browser onto ad web-sites. Thankfully, we have a few simple tricks to deal with the annoying pop up advertisements, and they do not take much of your time. Below we list a number of detailed ways to delete adware and thus stop pop-up ads. As with deleting ad-supported software, malicious software or PUPs, there are few steps you can do. We suggest trying them all. If you do only one part of the pop-up ads removal instructions, then it should be run malicious software removal utility, because it should remove ad-supported software and stop any further infection. In order to completely stop unwanted pop-ups and advertisements you will have to at least: uninstall unwanted and suspicious applications by using Windows Control Panel, stop pop-up ads on your browser (choose a step according to the name of your browser), fix hijacked web browser shortcuts, check the Task Scheduler Library, and remove any adware by free adware removal tools such as Zemana Anti-malware or AdwCleaner. Certain of the steps below will require you to close the site. So, please read the guidance carefully, after that bookmark or print it for later reference. First way to delete adware (and thereby stop pop-up ads) is to uninstall software you don’t need. I will help you do just that. The most probably that you think of when we say “uninstall” is to reverse the effects of a set-up adware that was run on your system at some point in time. Unfortunately, it often happens that the simple removal of adware does not work and you will need to fulfill all the remaining steps suggested below to clear your browser from annoying pop-up ads. Click Start, type ‘Control panel’ in Search and press Enter. When the ‘Control Panel’ opens, click the ‘Uninstall a program’ under Programs category. You will see the ‘Uninstall a program’ panel that will present a list of software installed on your PC. If you have lots of software installed, you can help simplify the search of adware and unwanted software by sort the list by date of installation. Once you have found an one, right click to it and press ‘Uninstall’. On the Start menu, click ‘Control Panel’. On the ‘Control Panel’, click ‘Uninstall a Program’. 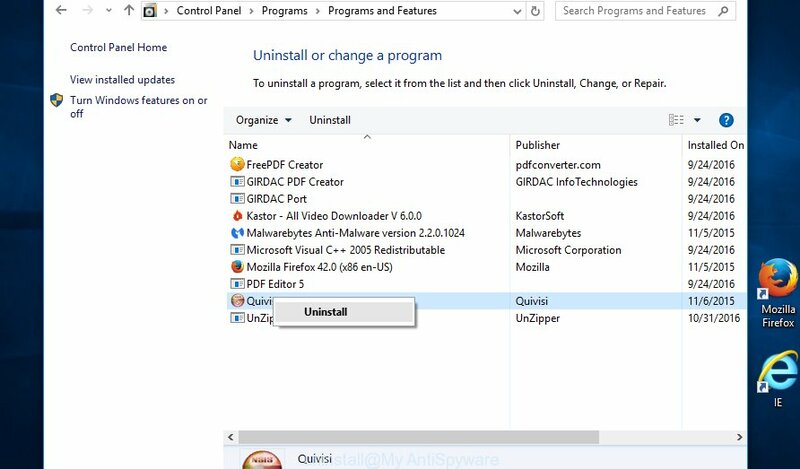 The ‘Uninstall a Program’ will show a list of applications installed on your computer that can be uninstalled. Right-click the one you want to delete and select ‘Uninstall’. 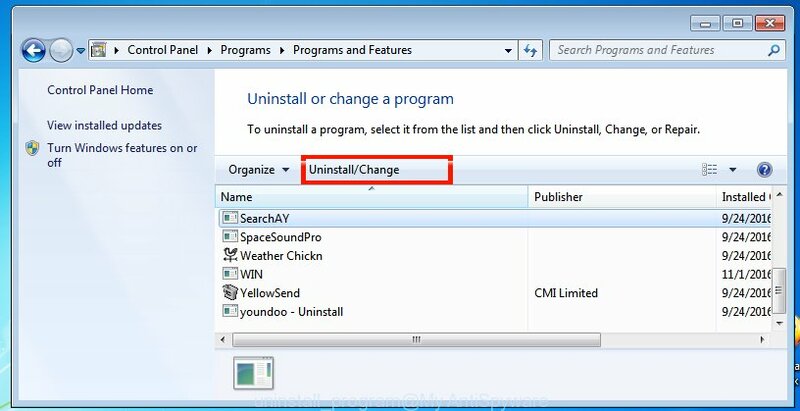 In most cases, an uninstaller will start and help you to delete the program after confirming that with you. If uninstaller was unable to complete or a program won’t uninstall, then try a tool such as Revo Uninstaller Free, which is an excellent tool for uninstalling. The adware and other unwanted software frequently makes changes to Google Chrome browser settings such as your homepage, new tab page and search provider. More over, an adware can install browser extensions that may open a lot of unwanted pop-up ads. So, if lots of ads are occurring in your Chrome web browser, then the best fix may be to just reset all browser settings. Click the Chrome main menu icon in the top right-hand corner. It will open a drop-down menu. Choose ‘Settings’ option as shown below. Scroll down and click the link called ‘Show advanced settings’. Scroll down again and click the button named ‘Reset settings’. It will open a dialog box. 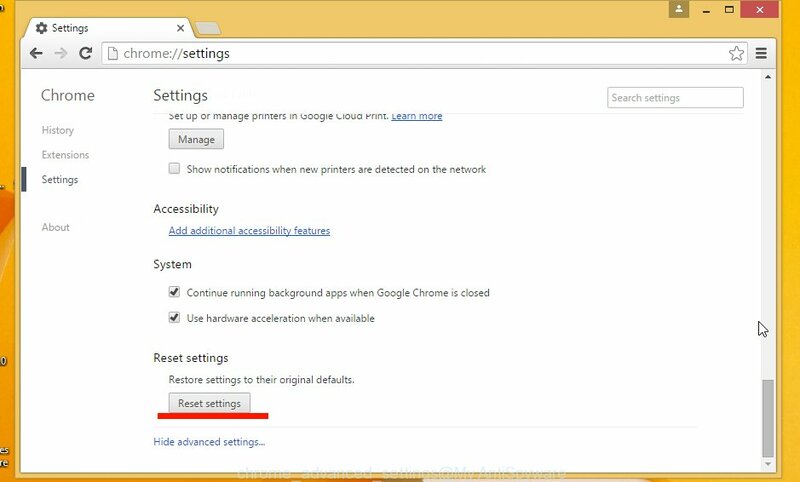 Press the ‘Reset’ button to restore Google Chrome settings to their original defaults. If unwanted pop-up ads are still there after ‘reset Google Chrome’, then you need to check the list of installed extensions. In order to remove unwanted extensions from Google Chrome open the main menu and choose ‘Settings’. Then click ‘Extensions’. You will see a window as shown below. In the Extensions window, select the nasty extensions, delete the checkmark next to ‘Enabled’ and click on the trash bin icon. Press “Remove” button to confirm it. If you can not decide what to remove, then use a simple trick. Disable all extensions, after that enabling one extension after another, determine the one that causes the appearance of annoying pop-up ads. When Mozilla Firefox is infected with adware, you may experience lots of unwanted pop-up ads. Moreover, the adware browser add-on may redirect you to spam, phishing, misleading and malicious web sites. So, we recommend to reset Firefox browser setting, check the list of installed add-ons and remove any suspicious and unknown browser extensions. Firstly, you may want to try search for and uninstall all suspicious and unknown Mozilla Firefox add-ons to stop pop-up ads. 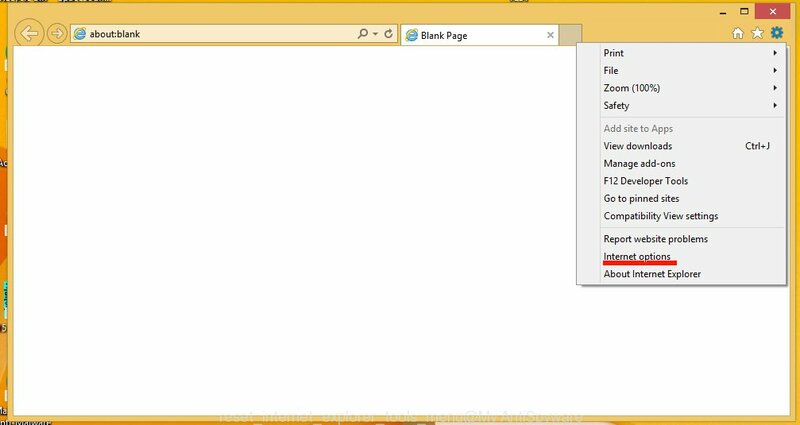 In order to remove adware extensions from Mozilla Firefox, click the menu button. It will display a drop-down menu as shown in the image below. Click ‘Add-ons’ option. It will open the Add-ons Manager as shown on the example below. Select an unwanted extension and click ‘Remove’ button to uninstall it from Mozilla Firefox. Restart Firefox. Click the button in the form of three horizontal stripes and select the Help menu, then click ‘Troubleshooting Information’. 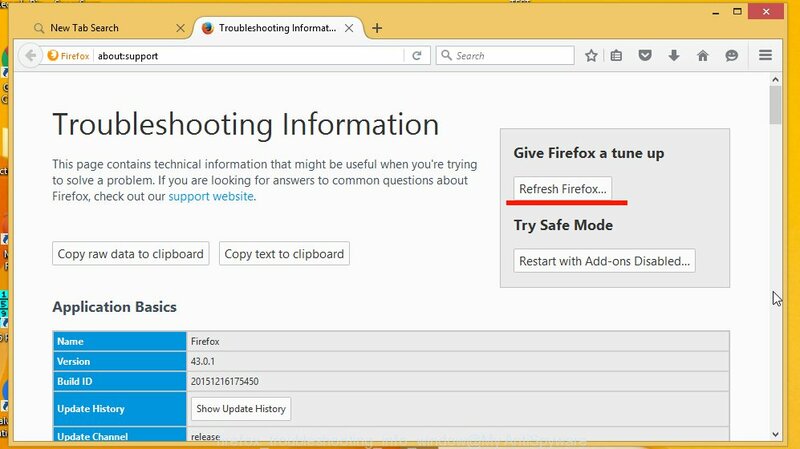 Press the button labeled ‘Refresh Firefox’ to the right of the ‘Troubleshooting Information’ page. It will open a prompt, confirm your action by choosing ‘Refresh Firefox’ once more. Internet Explorer is the default Microsoft Windows browser and therefor a popular target for installing adware and other unwanted browser add-ons. You can always remove any adware that created to open unwanted pop-up ads by using the Internet Explorer ‘Manage Add-ons’. 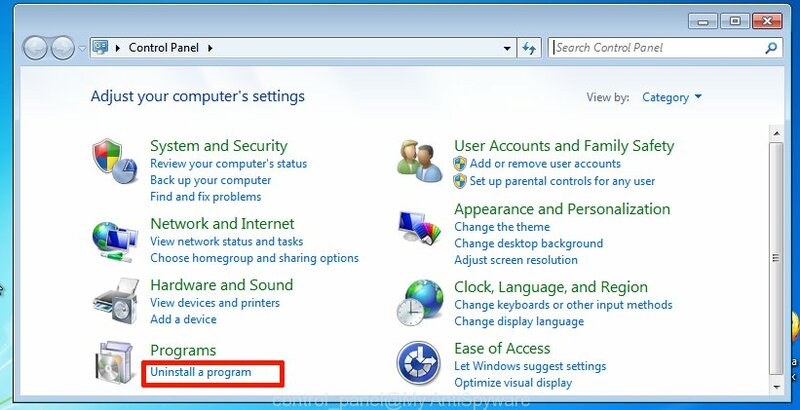 In order to remove adware extensions from Internet Explorer click the Tools button as shown on the following image. It will open a drop-down menu. Click ‘Manage Add-ons’ option. A window similar below will open up. Under Show, click ‘Downloaded controls’ to open all ActiveX controls. Next, click the ActiveX control you want to remove, then click ‘More information’. It will open the ‘More Information’ dialog box. Click the ‘Remove’ button. 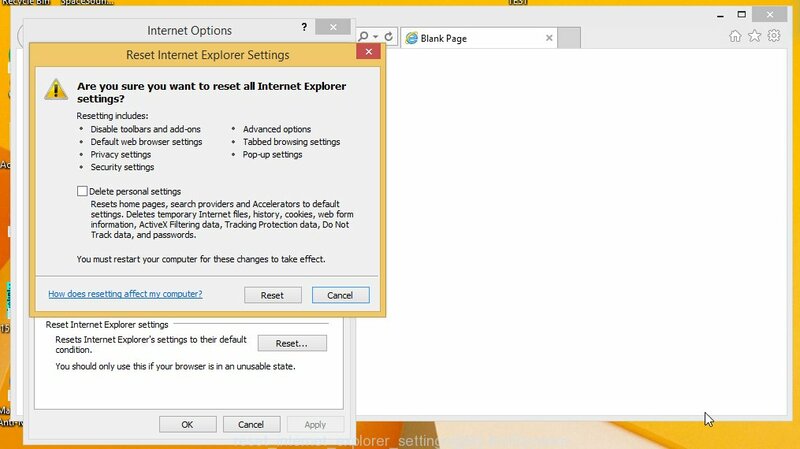 Run Internet Explorer and open the Main menu, then click ‘Internet Options’. Select the ‘Advanced tab’ and press the button named ‘Reset’. It will display a dialog box. Set the “Delete personal settings” check box and confirm your action by choosing ‘Reset’ again. 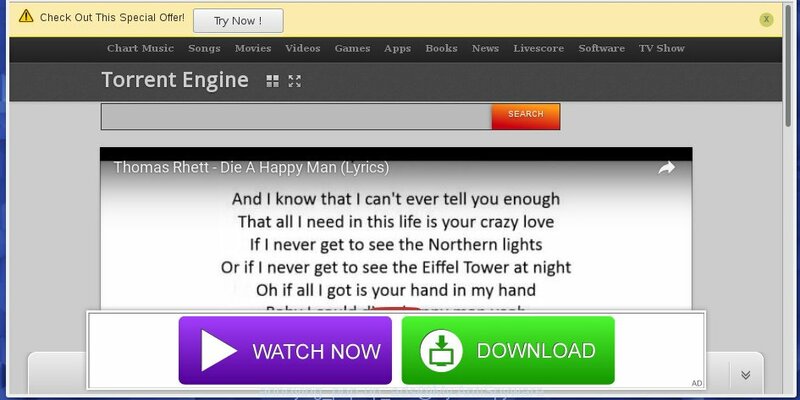 The Microsoft Edge is fresh browser in new versions of Microsoft Windows OS. 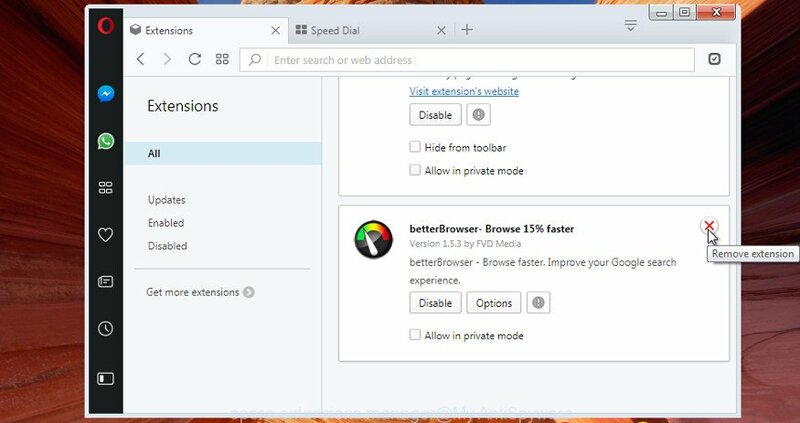 Removing pop up ads, whether they are caused by an adware or malicious extensions, can be done by changing the settings in Microsoft Edge browser. 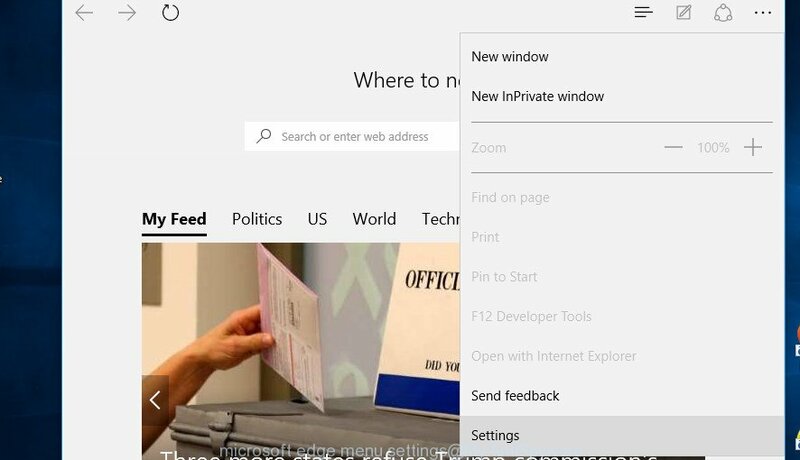 However, this will not stop pop-up ads from all browsers, only from Microsoft Edge. 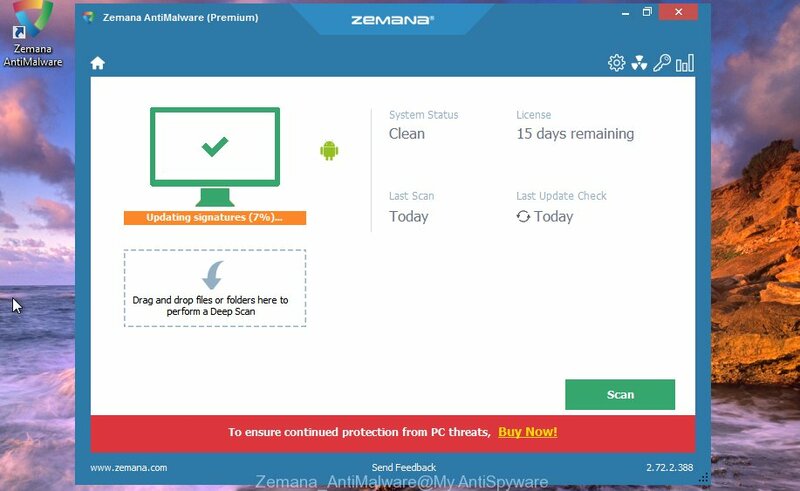 In order to completely remove adware from your personal computer you should use an adware removal software such as Zemana Anti-malware. 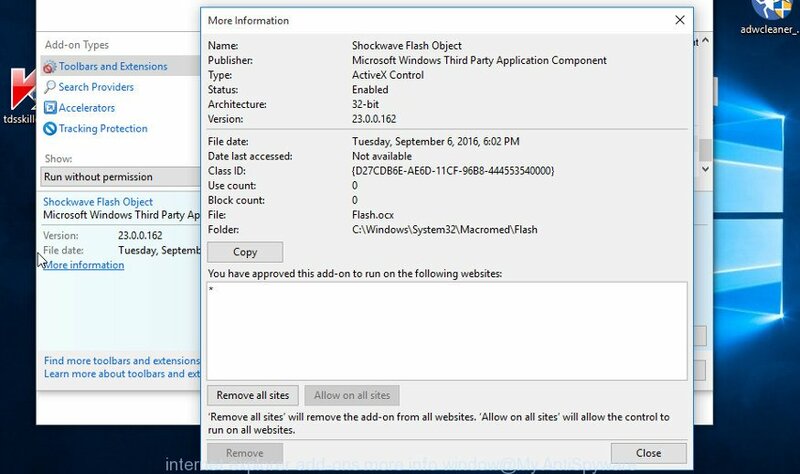 Firstly, you should reset Microsoft Edge settings and enable the “Block pop-ups” option. The settings can be changed/disabled by adware or other malicious software. Below, how to reset Edge settings and turn the ‘Block pop-ups’ option back on. Run Microsoft Edge. Click the More button (…) button and select ‘Settings’ option as shown on the image below. Scroll down and click ‘Choose what to clear’ button and then click ‘Show more’ button. Select all data types that are listed here. Next, click ‘Clear’. Restart your personal computer. Re-open the Microsoft Edge for a next step. Click the More button (…) button and select ‘Settings’. Scroll down. Under ‘Advanced Settings’, click ‘View advanced settings’ button. Click the slider under the heading that says “Block pop-ups”. If annoying pop-up ads continues to appear in Microsoft Edge, then remove adware extensions from Edge by clicking the More button (…), then click Extensions. It will open the ‘Extensions manager’. Right-click the extension you want to delete and click Remove. Restart Edge. There are several methods to stop pop-up ads on Opera browser. The first way is to uninstall suspicious, unwanted and unknown extensions (add-ons). This is the simplest and most effective method. In some cases it does not help. In this case, in order to stop pop-up ads, you can try resetting the browser settings. 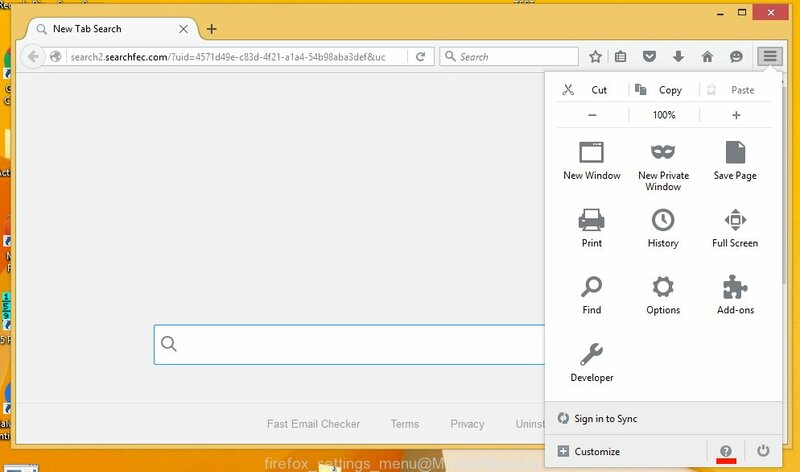 Click the ‘Opera’ icon button in the top left-hand part of the Opera window. It will open a drop-down menu like shown below. Click ‘Extensions’, then ‘Manage Extensions’ option. It will display a list of installed extensions as shown on the example below. 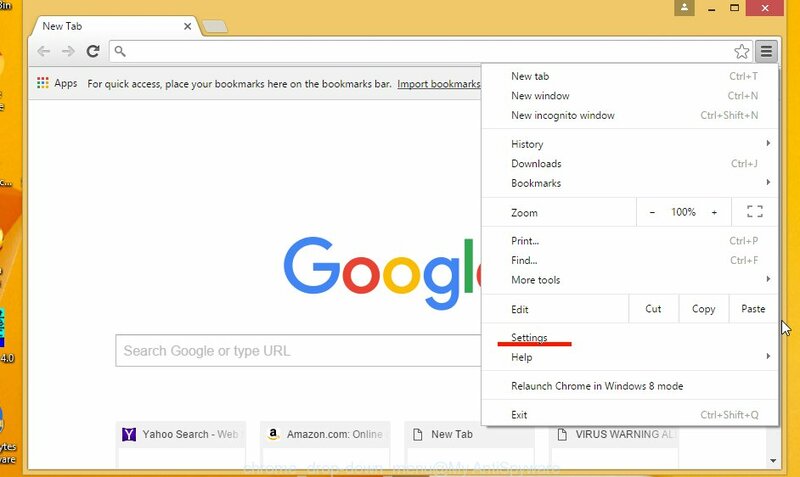 Find the suspicious, unwanted and unknown extension on the list and click Remove (X) button to uninstall it from Opera browser. This will remove the unwanted browser add-on. Confirm your choice, click ‘OK’ button. Now restart Opera browser. Re-open the browser and surf the Internet a bit to check if unwanted pop-up ads has been removed. If the popup ads aren’t occurring anymore, you are good to go. In the case the problem persists, follow the next step. In order to fully reset Opera settings to default you should navigate to %AppData%\Opera Software\Opera Stable, then remove the file named Preferences. The same steps with the screenshots. Press Windows and R keys together. It will present a Run prompt. Type cmd and press Enter. In the command prompt, type cd %AppData%\Opera Software\Opera Stable and press Enter. Then type del Preferences and press Enter. Close command console. The Preferences file will be deleted. It will remove every custom change made in the ‘about:config’ preferences editor. The next time Opera is started, the file will be re-created with default settings. 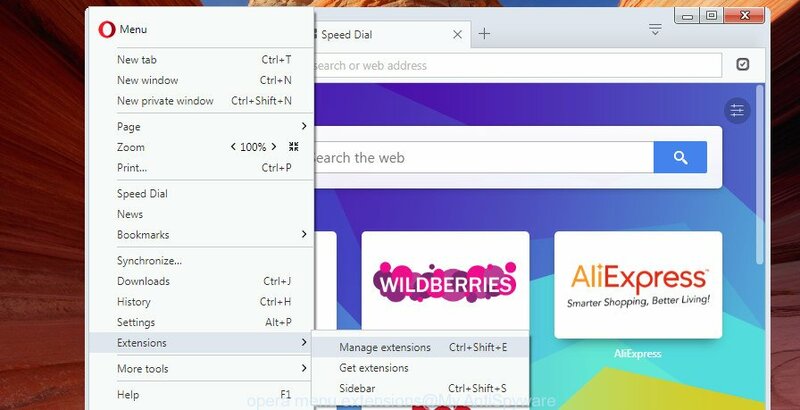 Some adware and malware can change the web-browser shortcuts for Google Chrome, Mozilla Firefox, Internet Explorer, Microsoft Edge, Opera and other Internet browsers on your Windows desktop in order to make sure you visit their websites and view their annoying advertisements. They do this by adding an argument into Target field of the existing browser shortcuts. 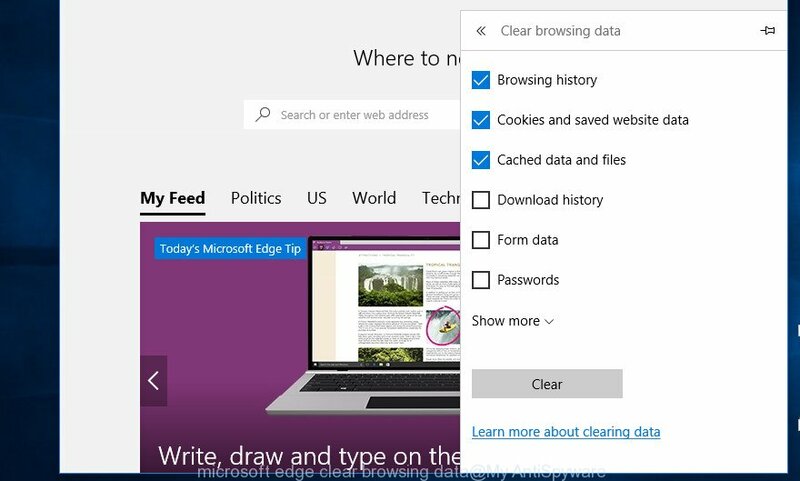 Web browser shortcuts on the Windows desktop can be cleaned by right-clicking them and choosing ‘Properties’ option. In the ‘Target’ field, remove everything after the full path to the executable file of Internet browser as shown on the example below. There are not many good free anti-malware applications with high detection ratio. The effectiveness of malicious software removal utilities depends on various factors, mostly on how often their virus/malware signatures DB are updated in order to effectively detect modern malware, ad supported software, browser hijackers and other potentially unwanted programs. We suggest to run Zemana Anti-malware. The adware and malware remover will allow you remove all components of the adware from your disk and Windows registry and thereby stop all annoying pop-up ads. 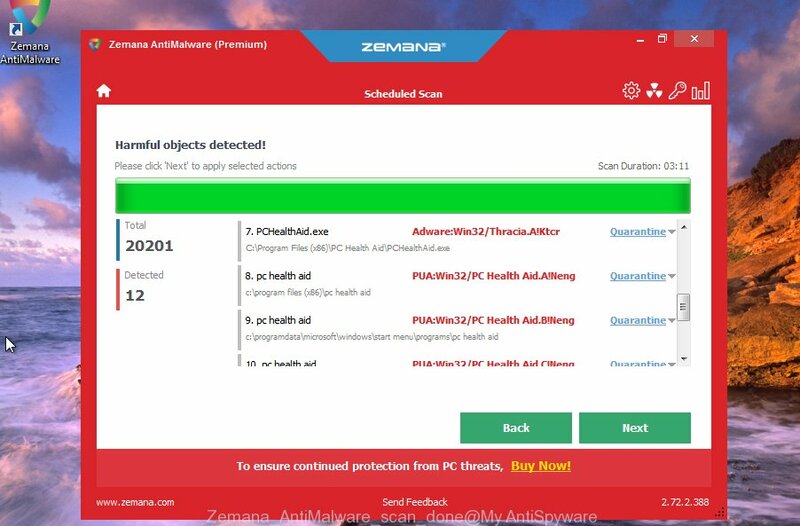 Download Zemana anti-malware on your PC from the link below. Save it on your desktop. After the download is complete, close all windows on your system. Further, start the file named Zemana.AntiMalware.Setup. If the “User Account Control” prompt pops up as shown on the image below, click the “Yes” button. It will display the “Setup wizard” which will assist you install Zemana antimalware on the personal computer. Follow the prompts and do not make any changes to default settings. 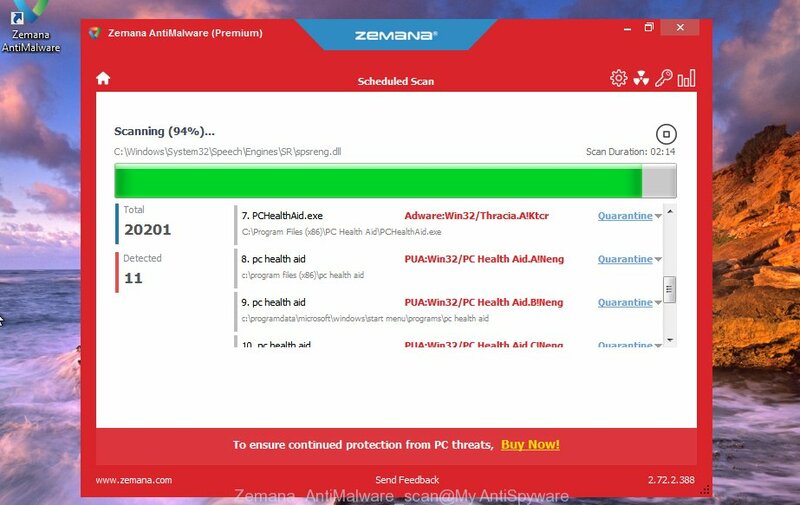 Once setup is done successfully, Zemana antimalware will automatically start and you can see its main window as shown below. Next, click the “Scan” button . This will begin scanning the whole PC system to find out an adware that opens lots of unwanted pop up ads within your web-browser. A system scan may take anywhere from 5 to 30 minutes, depending on your PC system. While the tool is scanning, you may see how many objects it has identified either as being malware. When it has finished scanning your computer, a list of all items detected is produced. In order to remove all threats, simply press “Next” button. The Zemana antimalware will begin removing adware and other security threats. Once disinfection is finished, you can be prompted to restart your system. If you are still having issues with pop up ads, consider downloading the AdwCleaner. The free downloadable security tool scans your system for adware, potentially unwanted program, browser hijacker and other malicious software. You can review the list of entries to be removed, and select those unwanted software you want to delete. 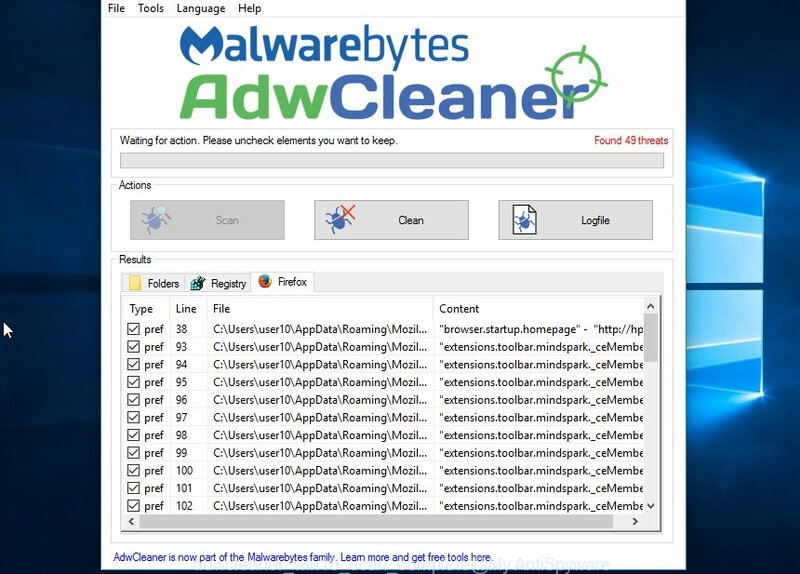 The AdwCleaner removes adware and other unwanted software. Download AdwCleaner tool from the link above to your desktop. Run it and click on the ‘Scan’ button to start a full scan of your system. If you do not find anything, try another app. The Malwarebytes Free is another good option. Look at the following video, which completely explains how to use the AdwCleaner to remove adware which presents unwanted pop-up ads within the. Once installed, the adware can add a task in to the Windows Task Scheduler Library. Due to this, every time when you start your machine, it will display undesired pop-up ads. So, you need to check the Task Scheduler Library and remove all harmful tasks that have been created by ‘ad-supported’ software. Press Windows and R keys on your keyboard at the same time. It will open a prompt that titled as Run. In the text field, type “taskschd.msc” (without the quotes) and click OK. Task Scheduler window opens. In the left-hand side, click “Task Scheduler Library”, as on the image below. If your browser does not stop pop-up ads, and you are sure that they are not created by adware (or repeat the previous step), then you need to use ad blocker software. 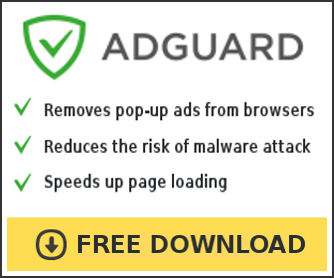 We suggest to use the AdGuard (or AdGuard browser extension) that stop pop-ups, block annoying ads, remove video ads on YouTube, block Facebook ads, protect you from malicious and misleading web-sites and much more. With AdGuard software, you will get easy setup, ready usability and added security features. 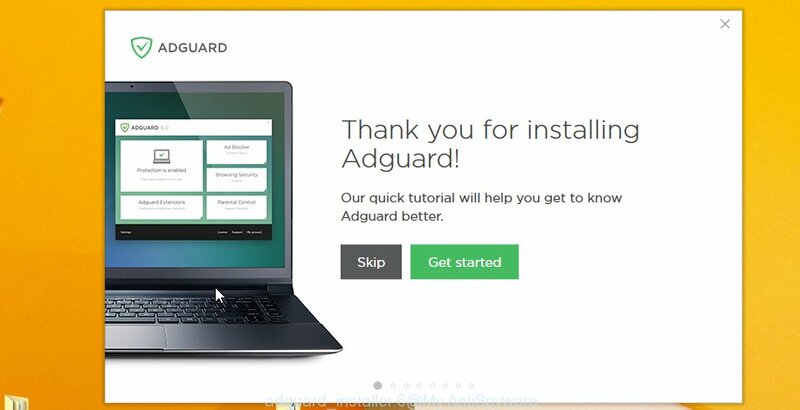 Download AdGuard from the link above. Run downloaded file and install the ads blocker software onto your computer. Once installation is done, you can change the software settings for your individual needs or start your favorite internet browser and try to surf the Web, and see the magic in action. Now your PC should be clean of the adware which causes annoying pop-up ads. We suggest that you keep Zemana Anti-malware (to periodically scan your computer for new malware, browser hijackers and ad-supported software) and AdGuard (to help you stop undesired pop up advertisements and harmful web sites). Moreover, to prevent ‘ad supported’ software, please stay clear of unknown and third party software, make sure that your antivirus program, turn on the option to find PUPs (potentially unwanted programs). If you need more help with pop-up ads related issues, go to our Spyware/Malware removal forum. I google you, and your pop-up ads removal guide worked perfectly. The instructions are simple and easy to follow. I used my phone to get to your web site. I went step-by-step the pop-up ads removal instructions and my computer is fixed. Your guide working perfectly!!! Gratias!!! Thank you guys! I followed your pop-up ads removal directions and removed the stupid adware easily. Thanks again!! !